Boeing Receives Contract for 1st Major Upgrades to Malaysian F/A-18D Hornets fighter aircraft. 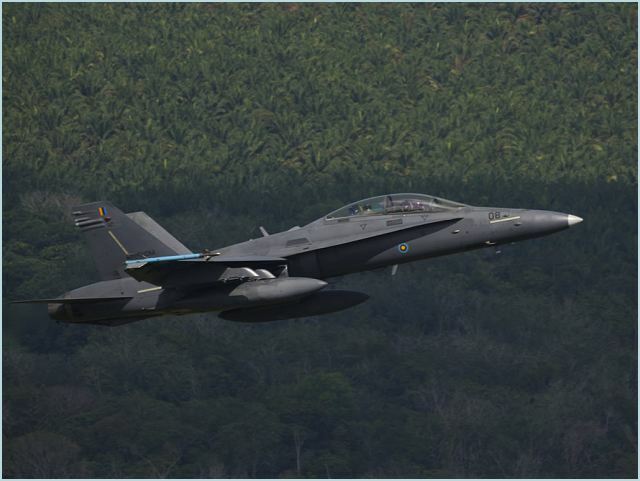 LANGKAWI, Malaysia, Dec. 7, 2011 – The Boeing Company [NYSE: BA] on Nov. 28 received a U.S. Navy contract under the Foreign Military Sales Program to provide the first major upgrades for the Royal Malaysian Air Force (RMAF) fleet of eight F/A-18D Hornet fighter aircraft. - Maintenance and air crew training for these systems. The upgrades also make the RMAF’s F/A-18Ds more compatible with the F/A-18E/F Super Hornet, which Boeing is offering to meet Malaysia’s Multi-Role Combat Aircraft needs. The government of Malaysia ordered eight F/A-18D Hornets in 1993. Since delivering all aircraft on schedule in 1997, Boeing has been providing sustainment support for the fleet at the RMAF base in Butterworth, Malaysia. These support programs include engineering and logistics support, pilot training and technical publications. Boeing provides life-cycle support solutions, services and upgrades for F/A-18 Hornet fleets worldwide, including for the U.S. Navy and Marine Corps, the Royal Australian Air Force, the Royal Canadian Air Force, the Finnish Air Force, the Kuwait Air Force, the Spanish Air Force, the Swiss Air Force and the RMAF.